I am Aiman Khan from Pakistan, now living in United Arab Emirates. Computer Science graduate, from Pakistan. 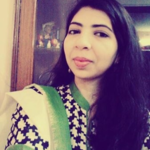 I have 4 years’ experience in Software Quality Assurance, in manual...Read moreI am Aiman Khan from Pakistan, now living in United Arab Emirates. Computer Science graduate, from Pakistan. I have 4 years’ experience in Software Quality Assurance, in manual testing. I have expertise in Functional, Regression, Smoke, Performance, Integration, System, Comparison and Load Testing; and even in boundary value analysis. I also have experience in writing test cases, creating DFDs, use cases and user manuals. Languages I know: English, Urdu and Hindi.